I don't know if the folks over at Sprint are crazy or crazy like a fox. It looks like Sprint has a back door marketing campaign for Apple customers, like me, for their 4G network. The latest gimmick is Sprint's 4G Case of the iPad. "How can you not love Sprint when it pulls stunts like this? Following up on its 4G iPhone commercial, the Now Network has absolutely outdone itself with the introduction of the Sprint 4G Case for iPad. 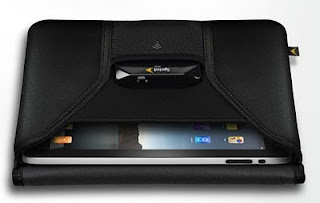 That’s right… the Sprint 4G Case for the freakin’ iPad." You can get more details on the Sprint website.